To Jordan Howard, there were too many missed opportunities in his rookie NFL season with the Chicago Bears, bigger plays that got away. Chicago Bears' Jordan Howard and teammates warm up during training camp on the campus of Olivet Nazarene University in Bourbonnais, Illinois, on July 29, 2017. This time last year, Jordan Howard was trying to make an impression with the Chicago Bears after being drafted in the fifth round. To that end, he sure succeeded. He broke the team's rookie record by rushing for 1,313 yards and comes into his second season as a key figure on a rebuilt offense. Only Dallas' Ezekiel Elliott rushed for more yards last year. While Elliott won the National Football League's rushing title with 1,631 yards, Howard averaged more per carry (5.2 to 5.1). As good as that sounds, he was more focused on the yards he didn't get than the ones he collected. To Howard, there were too many missed opportunities, bigger plays that got away. "I definitely should've had more yards," he said. "I should've been in better shape. I should've been playing earlier if I would've handled what I had to do. I definitely could've had a lot more yards." He insisted he can do better. How much better? "He's a big, tough back," center Cody Whitehair said. "He hits the holes very well. You know, it's good to see him back out there again this year. He's made some improvement." The Bears gutted the quarterback position, with Jay Cutler gone, Mike Glennon starting and No. 2 overall draft pick Mitch Trubisky gearing up for a run at the job down the line. On an offense that also has some questions at receiver — Kevin White's ability to stay healthy and become a No. 1 target topping the list — Howard is a major catalyst. "We're always mindful of this as evaluators," general manager Ryan Pace said. "You get into these OTAs and they're in shorts, it's hard to appreciate somebody like Jordan. You put on the full pads and the instincts and the pad level and the body lean he runs with, if I'm an offensive lineman, I like blocking for a guy like that. He's going to maximize every carry and we expect that to continue to get better." Last season, Howard didn't start until the fourth game. While he had 10 carries of 20 or more yards, the longest of his six touchdown runs was for nine yards. Howard emphasized speed in offseason workouts near the team's suburban Chicago training facility and in Florida. He showed up to training camp weighing about 230 pounds as usual. But he said his body fat is down to about 13 percent from 15 percent. "I had a lot of time to work on a lot of things that I wanted to work on and improve on," he said. He came into training camp more familiar with his surroundings and with the NFL game. He set a high standard last season. Now comes the encore. 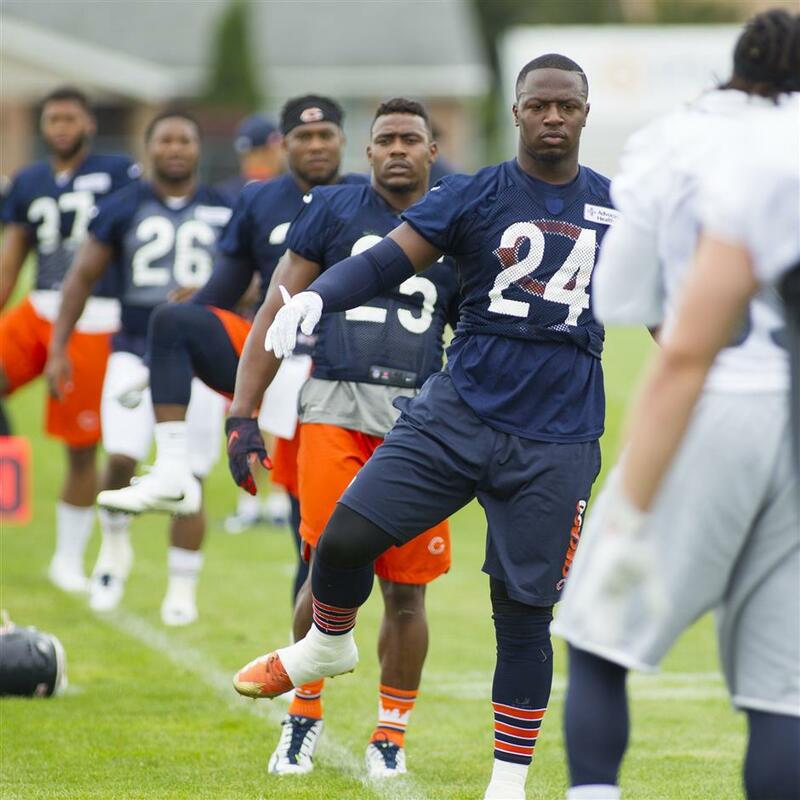 As coach John Fox said, "A year ago at this time, we weren't talking about Jordan Howard." There's plenty of talk about him coming into this season. "I feel like I can only get better," he said. "But I also got to put the time in and not change anything, stay humble. I'm definitely looking forward to the challenge. It's definitely a challenge to surpass those goals. But I'm definitely looking forward to it."